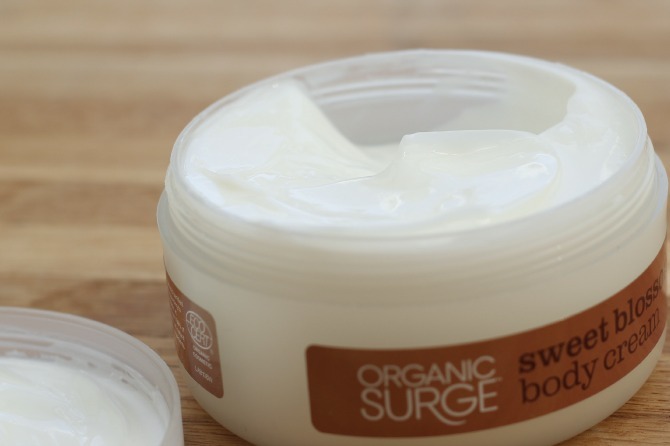 If you remember my last Organic Surge review, I banged on about how I loved that they're affordable, ethical and mostly organic - not a combination you usually see. Well, I'm banging on about it again, but instead of it being about their body wash (which has pretty much run out, sad face), it's now about this lovely little body cream. It's one of those body creams that has a really soft and gentle scent. It smells sweet, not necessarily of oranges, well, maybe a little. It also has a touch of that 'organic' scent, you know the one that all those organic-spa-like products have, yeah that scent. You can see, it's not exactly a body butter consistency, it's more 'gel' like and light, almost like it's a whipped consistency. It absorbs into the skin really well and doesn't leave an oily residue. 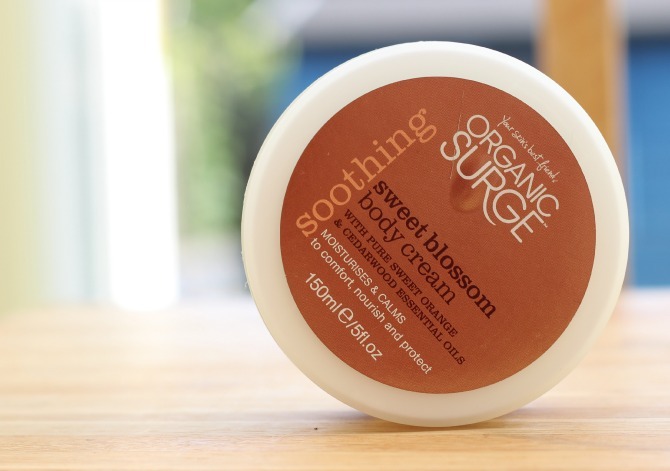 It leaves my skin feeling soft, supple and nourished, what more could ya ask for eh? It's safe to say I'm a fan of this, it feels lovely on my skin and just adds a delicate amount of fragrance. It's currently got £2.25 off on the Organic Surge website making it just £5.25* (down from £7.50). If you'd like to take a peek, you can find it here. *This post contains a PR sample, all views are my own. I've had this a while and it's taken me a while to finish it off (this is my 3rd bottle). 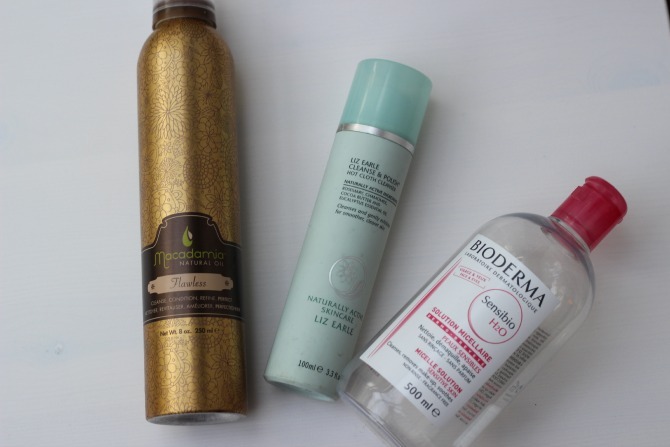 I'm starting to stray away from hot cloth cleansers (at least during the Summer) and use my Bioderma to take my makeup off, and then my Origins GinZing scrub after, which seems to be working really well with my skin at the moment. So there you have it, 3 measly empties! I think there'll be a lot more next month, so watch this space :) What have you used up this month? These really have become a staple in my daily skincare routine and when I'm not using them and I'm using something else, I can tell the difference. The scrub is usable daily, I tend to use it 5 days a week and the Claudia Louch cleanser on the other 2 days (review of that coming soon). The moisturiser smells amazing too, sinks into the skin really quickly and doesn't leave an oily residue, but leaves my skin feeling lovely and soft. Again, I've harped on about this quite a bit, but this in combination with the Smashbox primer is a pretty amazing combo - when I use these, and put eye shadow on top, I'll get a good 12+ hrs of wear out of it, which considering how oily my lids are is pretty amazing. You know how every product has a time when you find it best to use? For me, I prefer using powder on my brows when they're long and need to be done, and a pencil when they're nice and short. 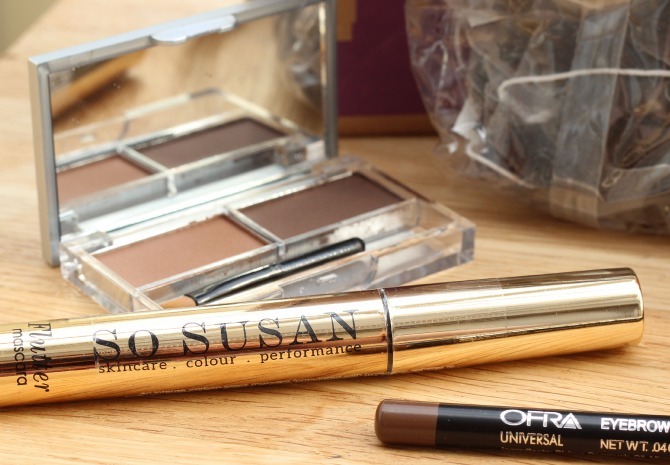 Well, I like using this when my brows as long as it helps to tame them and keep them in place all day, as well as adding a bit of colour to them (my brows are scarily pale!). This isn't the normal sort of liner I'd usually go for (brush with an ink-well) and as much as it can be a bit fussy to apply, it does give a lovely deep black line that's really quite precise and easy to wing. Apart from great pigmentation and quality, these shadows really do last a long time, which is great for me and my oily lids. I'm probably most comfortable wearing neutrals, even if I wear them quite dramatically and this palette is perfect for that. 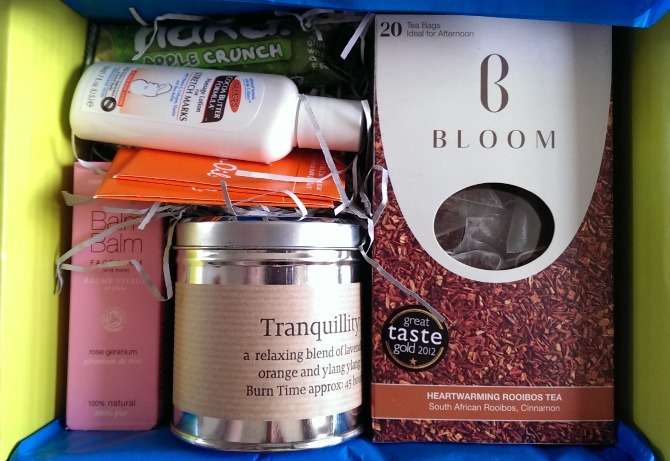 When I picked menu 1 for this months Love me beauty box, I don't think I appreciated just how fantastic this box would be. It was literally packed to the brim and with more products than I've seen before, here's a closer look at what was inside. Before I tell you what it says on the card, I will say this, it's a VERY pretty colour! Sort of berry with gold shimmer - however, a day after swatching it and I still have a pink stain on my hand :P Now, the card says that this shade is from Ofra's 'Diamonds are Forever' palette, they also say it's suitable for all skintones. I'm quite excited to try this, it's water resistant! This should be good with my oily skin. 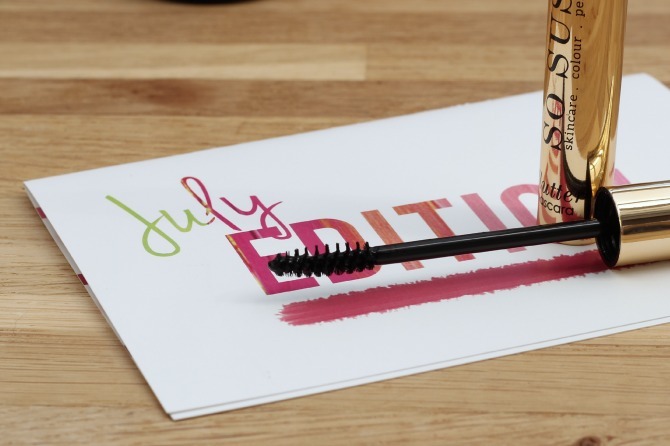 Personally, when my brows need to be threaded etc, I tend to use powder, but after they've been done and they're nice and tidy, I much prefer a pencil as it's more precise, so once I get my brows done I'll be road testing this. 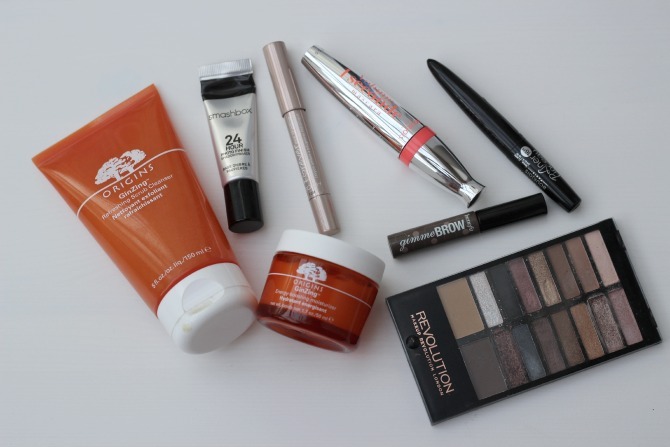 So there you have it, this month's EPIC Love me beauty box - how fantastic is it!? If you're interested in getting one yourself, you can find them here. First off, before I get into this post, I just want to say sorry I've been away this past week or so - I was spending my evenings preparing for a job interview (didn't get the job), then I was ill, and then I was away for a long weekend and this is the first opportunity I've had to blog, so thought I'd come back with a list of things I've been lusting after from The Body Shop. I've seen these bouncing around on twitter and blogs, they sound nothing short of awesome. They say it's light and fast absorbing, keeping your skin hydrated for up to 24 hrs. They described it as "a breakthrough sorbet texture instantly melts into skin for a frosty burst of fresh moisture" - now that sounds like something I want to get my mitts on! Can you see a trend here? Yep, love body butters and scrubs - my favourite things from the body shop. Raspberries are one of my favourite fruits and I love how sweet they smell. I can only imagine how amazing this must smell - I want it! So there's my Body Shop wish list, what would be top of your list? Newsflash - this makeup bag holds makeup! Right, that's the intro out the way, I've been sitting here for the last hour with loads of stuff I want to type about this bag, but failing to think of a way to introduce it... bad blogger I know. So this little beauty is by Marc Jacobs, it's somewhat smaller than my old makeup bag, but that's a good thing, god knows I carry FAR too much makeup around with me and almost never use it, so this was a good opportunity to slim down my collection to the bits and pieces I'm most likely to use. Ever heard of neoprene? Yep, me too. Did you know what it was? Nope, me neither. Well, I do now since this is a neoprene makeup bag, in a crocodile print. It's well padded/cushioned and has a nice tie on the zip to make it easier to open and close. 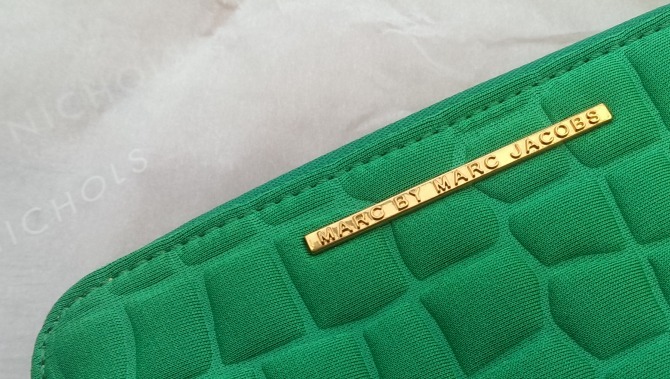 Across the front in a little gold coloured strip is the 'Marc by Marc Jacobs' logo/branding. As much as I haven't photographed everything I've managed to fit in here, it does fit quite a lot. 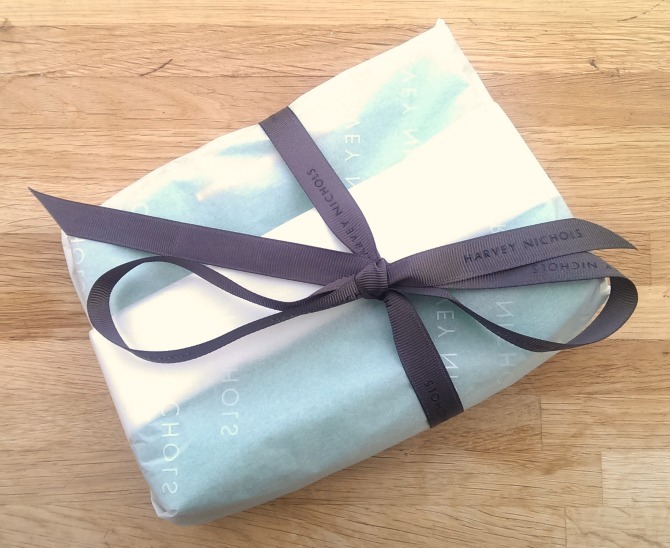 One of the things I loved about receiving this was the beautiful packaging it came in - a Harvey Nichols bag, tied at the top, then this wrapped in tissue paper and a ribbon, all very pretty and felt very luxurious. When I was asked to pick which colour makeup bag I wanted, I nearly opted for the pink, but I thought I'd go outside my comfort zone and pick the green one instead and I'm so glad I did, as bright as it is, I really like it - why stay safe all the time with these things eh? Given that I've never owned a breed, I'd have to stay stray (or moggie). 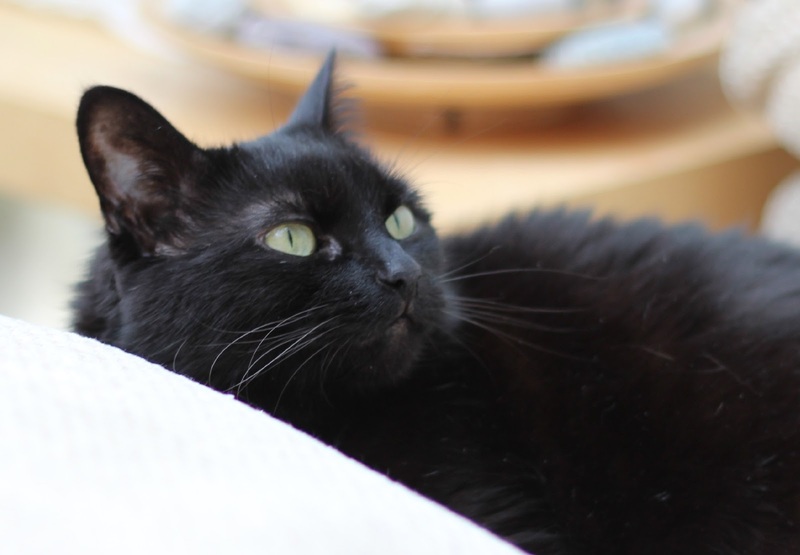 Although, given how beautiful Matilda is, I asked the vet if they thought she had a breed in her, and they said it's not 'if' it's 'what' :) We all agreed that she's most likely to be half British Short Hair - so we really lucked out with her. 2. Regardless of your previous answer, what would your favourite breed be? 3. Who's your favourite internet kitty? 4. Favourite cat YouTube video? It HAS to be this one, the kitty's meow SO much, they're SO hungry!!! As well as the awesome Simon's cat, I have much love for Party Cat - this is EXACTLY what my cat is like - it's a short web-comic and 100% worth having a look at :) Here's the comic. 6. Favourite cat in a movie, or movie scene with cats? This probably has to be the cat in the film Amelie (one of my favourite films). In particular, this scene where the narrator talks about the cats likes and dislikes (how they introduce Amelie's family) - his 'like' is listening to children's stories - how cute!!! 7. Do you own any cat themed clothing or accessories? 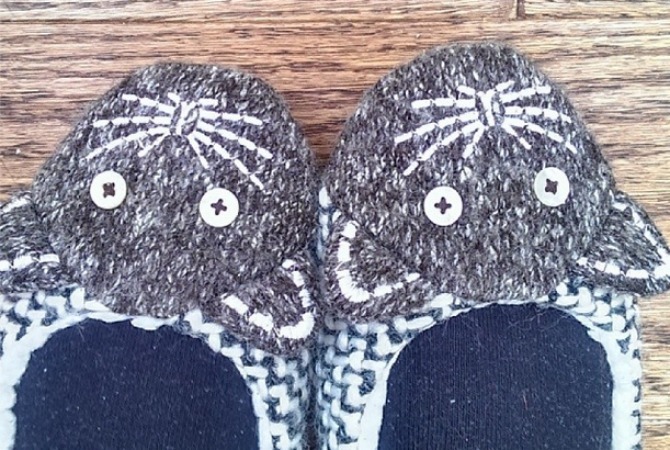 Yes, but sadly not as much as I'd like - I only have these cute slippers I bought from Next at Christmas, as soon as I saw them, I knew I had to have them! 8. What's your kitty's name? 9. What's your cat's favourite toy? I'm not sure she has a favourite. There's a little plastic ball with a bell in it she likes, but most of all she likes our feet! If we have just socks on or bare feet, that's it, deathgrip central!!! She really loves cable ties too, she goes freakin' mental playing with them. I'd actually forgotten about them, but she just leapt up and started playing with one :D They're dotted ALL over the house! 10. What's your kitty's favourite food? 11. Is she/he a lazy one for a fierce hunter? Well, she's coming up to 9 now, and up until about 2 years ago she was most definitely a fierce hunter! In the Summer we'd often have a mouse a day, she wouldn't kill them though and never ate them, she just liked playing with them. What this meant was we had 3 mice living in our house for a while, 1 in the kitchen living on a box of miso soup in the cupboard, and snacking on Oxo cubes during the day and flaked almonds (I know...) and the other 2 were living inside the sofa, and stealing her food! Well, after we plugged in a mice repeller (emitted a high pitched sound that humans couldn't hear, to drive mice out) she had her sweet vengeance. She killed the sofa mice that were living on her food, and left them by her food bowl :P 9 times out of 10 I'd manage to capture the mice and release them, but I wasn't always that lucky. Strangest things she used to catch, frogs. She loved them! She'd caught a couple of voles and shrews too, and the odd bird (including a massive bird that she somehow got through the cat flap!). 12. What's her/his favourite activity? 13. Name the last thing they broke or knocked over? I think this is probably my makeup! When I'm at my desk doing my makeup in the morning, she loves being like a ninja coming into the room (silent) and then jumping up onto my desk to get to the window, usually resulting in her landing on loads of my makeup! Thanks to Maria for creating this fun tag, if you want to see her answers, they're over here. This is the third? Three Custom Colour product I've had in my Wantable boxes. 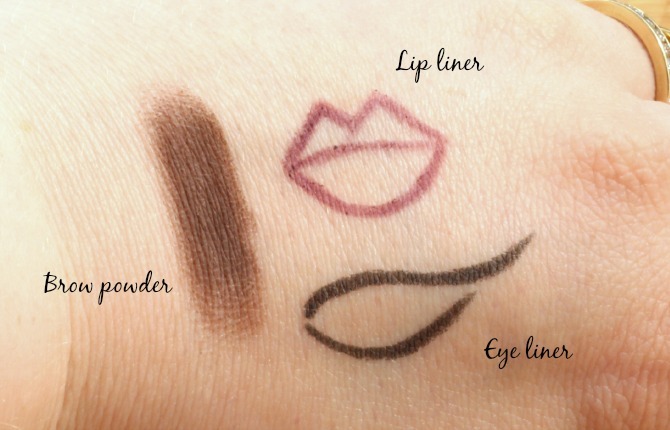 They're decent quality, well pigmented and a fair size (especially since this is a brow product). As for how well suited to me this colour is I'm not sure, it might be slightly red/orange for my brows, but I'll only know when I try it. In fairness, it's a very similar shade to the HD brow powder I use (bottom right shade in the foxy palette). What a lovely colour! 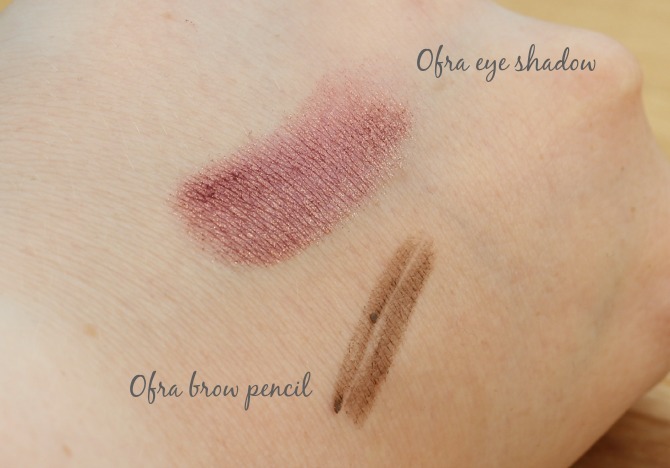 This was pretty soft to, well pigmented and was easy to blend (after swatching). I'm looking forward to teaming this up with MAC Rebel, I think they'll make a great combination - and at $10 (around £5.83) that's pretty affordable for a "decent quality" product too. I tend to use flat topped kabuki brushes for my foundation (like the Sigma F80) as I find typical foundation brushes can be a little streaky, but this one might be a little different. It's fully synthetic, but omg, so freakin' soft! Probably the softest foundation brush I've ever felt, so I'm looking forward to trying this, and LOVE the fact that it's this soft and not made from animal fur/hair. This is an amazing smelling shower gel, it smells like a strawberry milkshake, yummy! Like all Original Source products, it's pretty decent, leaves you clean and smelling nice, which is pretty much what everyone wants in a shower gel right? This is a LOVELY body scrub, it's really sugary like the S&G sugar crush body scrub, it's thick (not too much liquid in it), very rough and smells amazing, really citrusy. I forget how much it cost, I think it was around the £8 mark, but in my opinion, worth every last penny. Just like most things, it took me an age to finish it - like shower gels, I typically have about 5 body scrubs on the go at any one time, and I don't use them in every shower either, only if I can be bothered or if I feel my skin needs it. I picked this up when I was in France in Jan. I just couldn't bring myself to finish it, so I left it with a couple of uses in it for ages... there's a lot of reasons I had an emotional attachment to it (you can read about that here), but ultimately, it's just a shower gel, so I finished it. It smelled fantastic, it was creamy (not see-through) and left my skin feeling lovely and soft. If I had a Sephora near me, I'd certainly be replacing it. 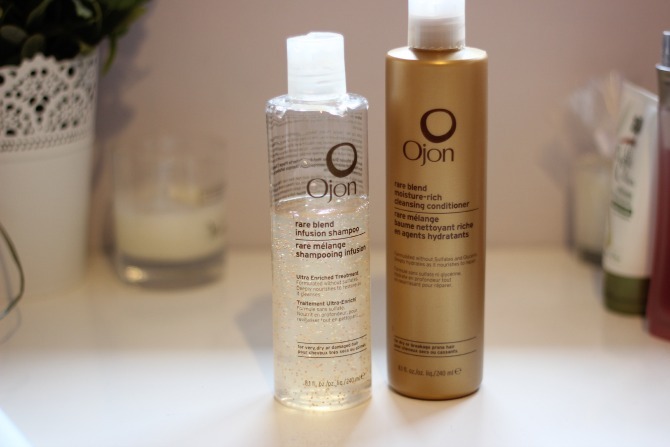 This was my favourite product from the ever pure range, it didn't leave my hair weighed down and greasy by silicone, but left it feeling light and well treated. Would I replace it? Yes and no - there's other products that do the same job that I prefer, like the Macadamia hair mask or the Flawless product, both much better, yes more expensive, but in my opinion, a much better spend of your money. Not my favourite conditioner. 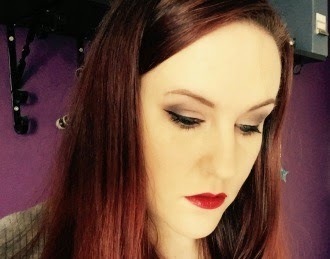 It felt quite thin in consistency, something I'm not a fan of in a conditioner, and I didn't really feel it did much for my hair, it still felt quite dry after using it, so not something I think I'd re-purchase, quite a disappointment in all honesty. Now this on the other hand was pretty special. I'm really into to Body Shop products at the moment, namely the Blueberry body butter (smells AMAZING! ), and this, oh my, so refreshing and zingy, perfect for your morning shower. It's filled with natural exfoliants like loofah and smashed walnut and left my skin feeling very soft. A very lovely product. I'm a fan of Original Source - but this one for me, wasn't the best. It was fine, but not as fruity and zingy as I'd like - I've been spoiled by the Body Shop pink grapefruit range. Not one I'll buy again. Before this I'd never tried anything from Organic Surge, I'd heard good things but didn't really know much about them, so I was excited to give this a whirl. For me, shower gels which are 'awakening' or citrusy are perfect for your morning shower (as opposed to an evening one). I tend to save spicy/warm scented ones for the evening, but typically I shower in the morning, so most of what you'll find on my bathroom window-sill will be citrus-themed gels. There's a couple of things I immediately love about this (1) it's not tested on animals, and (2) it's suitable for vegetarians and vegans, oh and (3) it's 99% organic, whoop! It's enriched with may chang and bergamot essential oils as well as mandarin (that's what give it the citrus edge). To describe the scent is hard - it's like that typical 'organic' scent, mixed with citrus (orange). It's definitely awakening, and I'd say it's refreshing. Once this has run out (over half gone at the mo) I'm pretty tempted to buy some more, I love it! It'll only set you back £5.99*, which you can pick up on their website, or in places like John Lewis. Yep this makes an appearance most months, and that's for a good reason, it's awesome. Even the little brow brush that comes with it is great, better than any I own! After seeing Sandra from The Black Pearl blog rave about this liquid eyeliner, it's been on my radar, but every time I went to buy it, it was sold out in the black shade (the only colour I wear). Since I bought it, I haven't worn any of my other favs, so that's gotta say something :) It's taken me a little while to get to grips with using it so that the product doesn't get on my lashes, but I think I've mastered it now! In short, I love that it's jet black, it doesn't transfer and stays put all day - winning if you ask me! Another month-on-month favourite, and for a good reason - it's an amazing primer for oily eyelids. Every time I use it, I team it up with the GOSH forever waterproof shadow stick, apply my eye shadow and I'll pretty much get at least 12 hours of wear out of it (depending on the eye shadow) - that's pretty amazing for someone with very oily lids, one of which is very hooded too. I bought this quite a while ago, loved it and then stopped using it, god knows why. 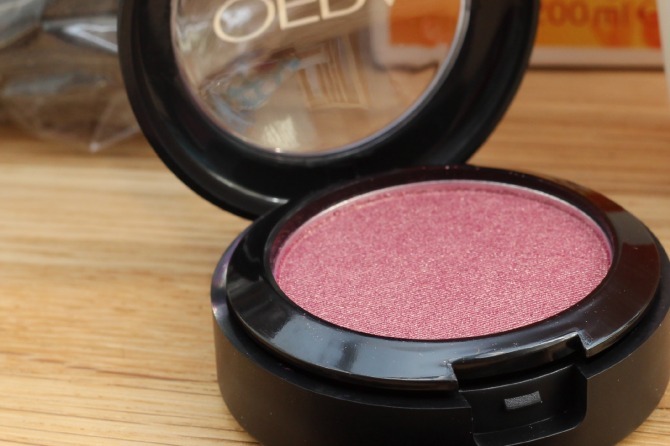 Then, when I was taking some recent blog pics I could really see redness in the inner corner of my eye (corner of my bags) so thought I should start using this again, what a difference it makes! I love it! Gets rid of the redness and discoloration, and doesn't crease in my fine lines, love it. 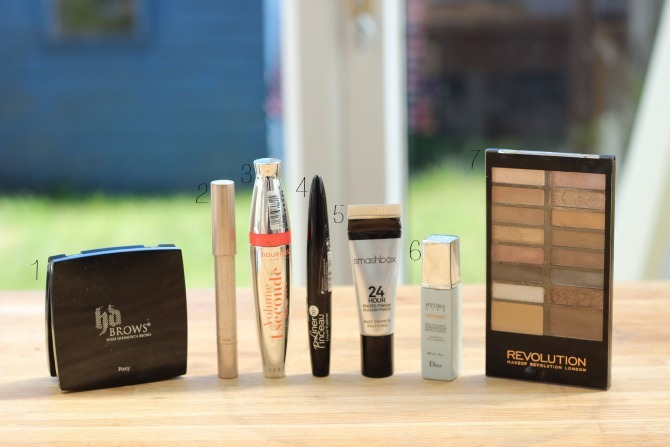 I blogged about this recently, it's probably my favourite palette of the moment! Combined with the Smashbox primer and GOSH forever eye shadow stick, my shadow stays put for a crazy amount of time. The colours look amazing and despite the colours that I use tending to be a bit flaky, there's very little fallout too. 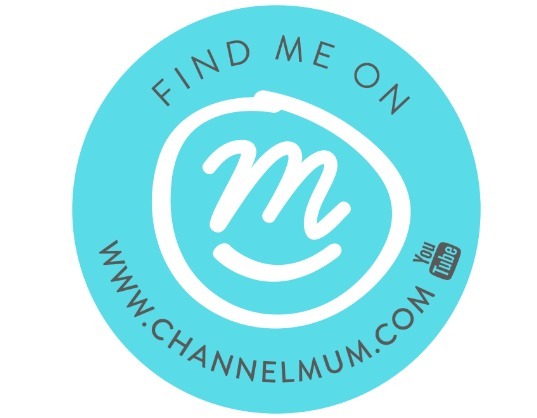 Have a look here for my full review, swatches and a look - keep your eyes peeled, there'll be lots more MUR reviews coming! 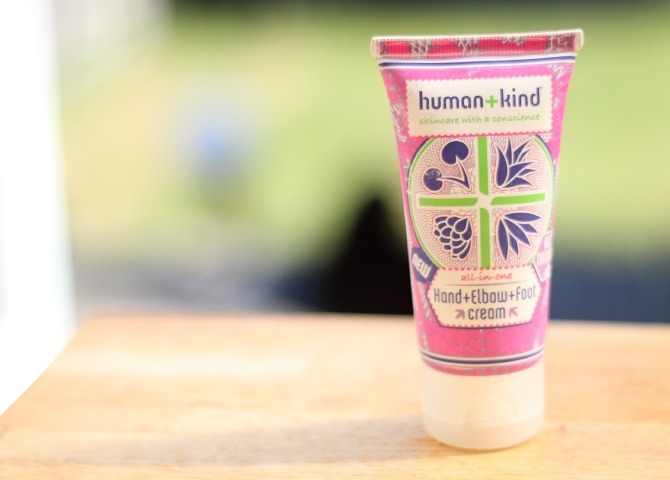 Human+Kind is a new brand to me, I was kindly sent this bottle by the lovely people over at Beauty Chamber to try out. I wasn't sure what to expect (I'll get to that later) but when it turned up and I opened the parcel, I loved the packaging of the tube, very cute and hippy happy. Designed for dry hands, elbows and feet I've managed to give this a whirl on all of those areas! Lets see how it faired on each of them! Since working at the hospital (a few years ago) I've suffered from dry skin on my hands (typically knuckles and fingers). When I noticed my hands were getting dry again, I reached into my bag and applied some. It's not a very thick consistency but a little does go a long way. There's a slight oily finish, but that soon absorbs into your skin and doesn't leave them feeling greasy. The dryness instantly went and the cream left my hands feeling soft and supple. For years (since secondary school) I've had trouble with dry skin on my left elbow (basically, eczema) so thought this was the perfect test for this! As much as it hasn't gotten rid of it, the dry skin on my elbow has decreased dramatically. The size of the dry patch has gotten smaller and the patch that's left isn't as dry as it was, whoop! All in all really happy with this, and what's more, it smells great and it's only £5.95*, bargain! This is one for my pregnant friends. Who knew this existed? 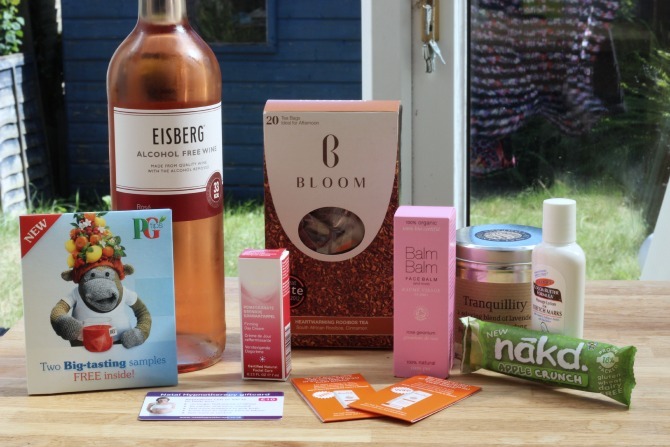 A monthly subscription box just for pregnant women, how great! 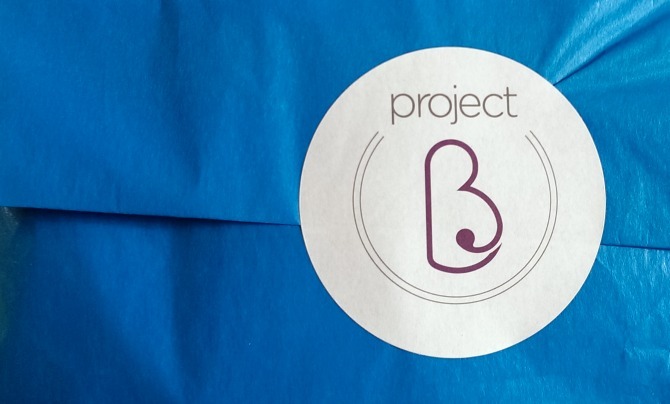 This is my first box from Project B, it retails for £14* a month and inside is an assortment of products aimed at mums-to-be, from pampering products to little treats and stretch mark cream. Lets take a look and see what was in this box. This candle is a blend of lavender, orange and ylang ylang with a burning time of up to 45 hrs. Lets face it, us mum-to-be need to take advantage of every last minute of relaxation we can, because once the baby comes, that'll all be a long distant memory. This is a 30ml bottle of face cream (and more!) which is 100% organic, and after having a look at the list of ingredients I can't see anything nasty on there, whoop! They say BLOOM teas are designed to support your body's changing needs. This tea combines rooibos and cinnamon and is best to be drunk in the afternoon. It's also caffeine free which makes it perfect for drinking during pregnancy. There was also 2 little sachets of bio oil in the box. Since being pregnancy and looking at bump creams, this is probably the one I see people talking about most often, so I'm excited to try this out! I think most people are familiar with with nakd bars by now, I've only tried one before which was the strawberry one. My first bite of this... well, I didn't like it. But the more of it I had the more I liked it. By the time it was gone, I wanted more! Hey everyone, just a very quick update as I know I've been AFK (away from keyboard) a lot this week. I've basically been ill with labrynthitis (inflammation of the middle ear), I can tell you this, it's not fun. It started when I woke up on Tuesday morning to get ready for work, I felt really dizzy. I sat on the edge of the bed for a while, Chris researched on his phone what it could be (thinking pregnancy related stuff). After eating some sweet food (honey on toast and a glass of OJ) and lying on my left side for a while I still felt the same. I went downstairs and tried to sit up for a while, but I only felt worse. So I went back to bed, but I was getting worse and worse. I yelled at Chris to get me a bucket and managed to hold off being sick, but the room was spinning like crazy. An appointment was made with the Drs for an hour later and I was diagnosed with labyrinthitis. Chris helped me move around the house (I was far from stable on my feet) and kept me fed and watered. Wednesday was worse, I couldn't even keep my eyes open, the room was spinning so much... think about your worst hangover, waking up in the morning with your head spinning like crazy, that's what it was like. But even with my eyes closed my eyes were still trying to track onto something to focus on, but they couldn't, so I wore a sleeping mask, wasn't for 6 hrs that I could keep my eyes open, let alone move. The last 2 days I've been better, but still unsteady on my feet and unable to move my head without feeling really dizzy. It's only this afternoon in the last hour or so that I've started to feel more normal again. It's been the weirdest virus I've had, I didn't feel 'ill' as such but so incredibly dizzy and unbalanced. These pics were taken a little while ago, there's not much left of them now :) There's one thing you need to know about this shampoo (just put the conditioner out of your mind for a moment), it might well be, the best smelling shampoo you'll have ever smelt, or will ever smell. It's like, warm white chocolate, but not sickly... SO GOOD! Forget the beads, the rare blend oil, the healing benefits and coconut, for me, this is all about the smell. 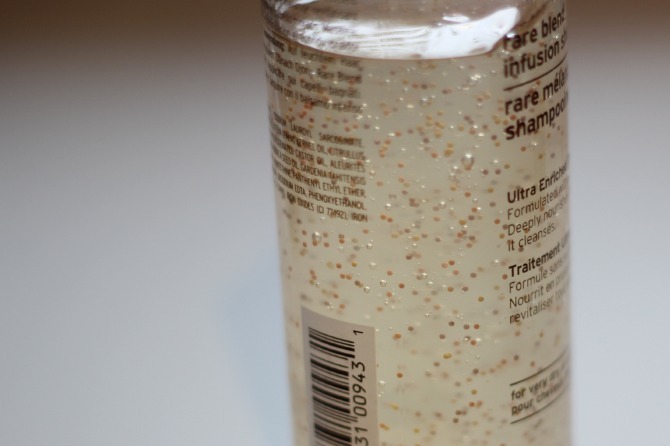 Yes, all the aforementioned things are great, they really are, and yes, they make my hair feel lovely (although, I was expecting the beads to burst since they contain Rouge Oleifera, but that didn't happen), but once you've smelt this, you'll never want to wash your hair with another shampoo again. You'll want to drink it. Then there's the conditioner, yes it doesn't have that same glugable smell, I mean, yeah it smells good, but nothing compared to the shampoo. But the conditioner makes my hair feel even more awesome than the shampoo, to the point that I don't use them as a pair anymore. In fact, the conditioner has nearly run out while I have half a bottle of shampoo left. They're both awesome but in very different ways. One I want to drink, one I don't. I could write all manner of rave things about the shampoo, but you need to sniff it for yourself! So, do yourself a favour, head into Boots or your nearest Ojon stockist, find this bottle and give it a good sniff. If you don't think it smells awesome, well... I'll be shamed.